Uploading images and video is now simpler than ever thanks to advances in technology that allow anyone with a smartphone or tablet to let the world see what they have just taken. However, while the technology has certainly improved in terms of the quality of images, accessing what you need to upload can be a pain. SnapLark has created a new app that is destined to become a big hit thanks to its ability in combining all manner of uploading into one simple, straightforward system. 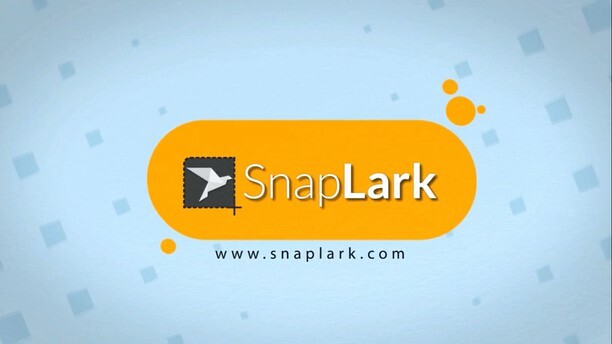 Now there is the SnapLark the app for a new generation of users who want even quicker access in uploading to their social media sites. Essentially, you can capture the image or video that you want instantly, save it in the Cloud and quickly share on over 11 different social networks. The SnapLark is simple, versatile and offers the ability to capture images and video in High Resolution. In addition, the SnapLark also offers a GIF maker to create animations for your needs as well. There are a number of reasons why this app is the perfect product for you needs, especially if you enjoy uploading images, video, GIF animations and more. Video Recording: The SnapLark ties into your video recording system so that you can quickly take the video and upload it to your storage in the cloud. This way, you can save a step or more compared to your old system of recording. 1080p HD Resolution: Get the best in video sharpness and clarity when you upload from your smartphone or camera. Unlike some other programs that downgrade the video which has been captured, SnapLark provides it in the best resolution possible for your needs. Quick & Easy: No more complicated steps or time consuming access protocols. Instead, you can upload your images, video and GIF animations quickly and easily with just a few clicks. The app is designed to be as straightforward as possible so that you can snap and share with your friends and family in no time. GIF Making: You can even create GIF animation from the video you have shot and upload a compact file to your cloud storage for immediate distribution on your social media networks. The GIFcreator is simple and intuitive to use which makes it easy to upload and for your friends to view as well. The SnapLark is a new, one of a kind app that offers a superior, all-in-one system to upload your images, video and GIF animations so that your audience can enjoy what you have created just seconds earlier. The SnapLark is going to be huge and you can download yours today and enjoy the simplest, yet most advanced app for uploading your content. Lets you easily switch between multiple Vkontakte and other social networks accounts. The first and best Web Assistance Platform. Rate sites, write and read comments all over the web.